Intelligent but greedy, and the Magpie King knows exactly what it takes to retain their loyalty. His magpie subjects ensure that he is always adorned with the trinkets he covets. Something stirs in the Crow Republic. They look on in disgust at their cousins bound in servitude to this man-creature. 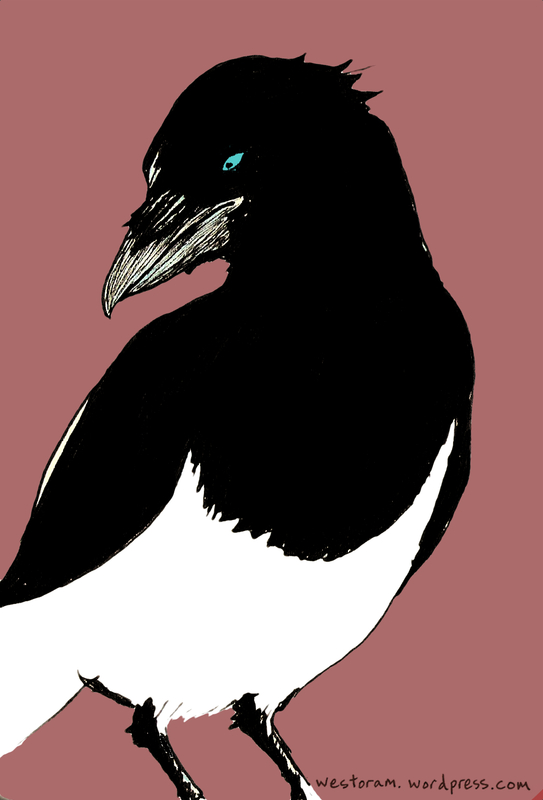 This entry was posted in The Magpie King and tagged Bird, Corvidae, Hoarder, King, Magpie, Magpie king, Put a bird on it. Bookmark the permalink.